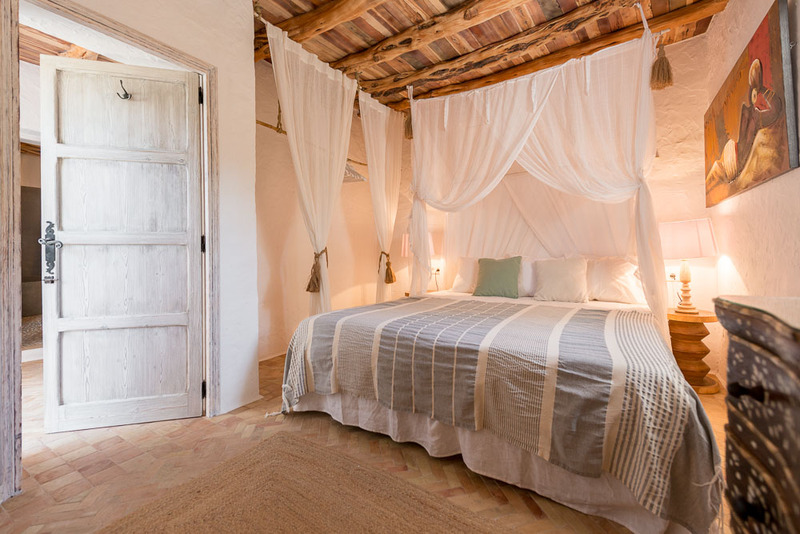 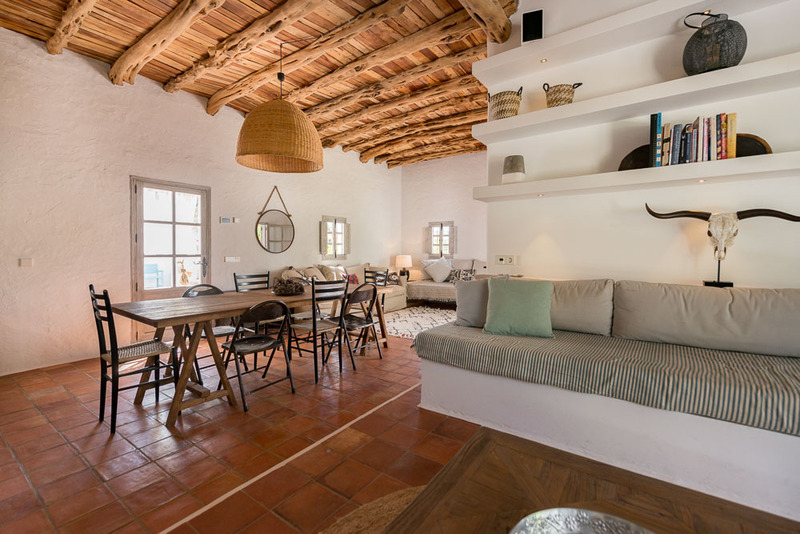 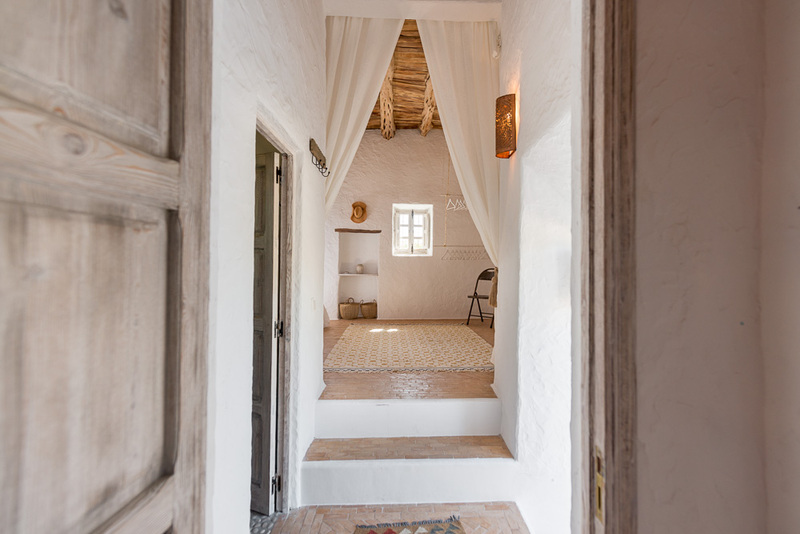 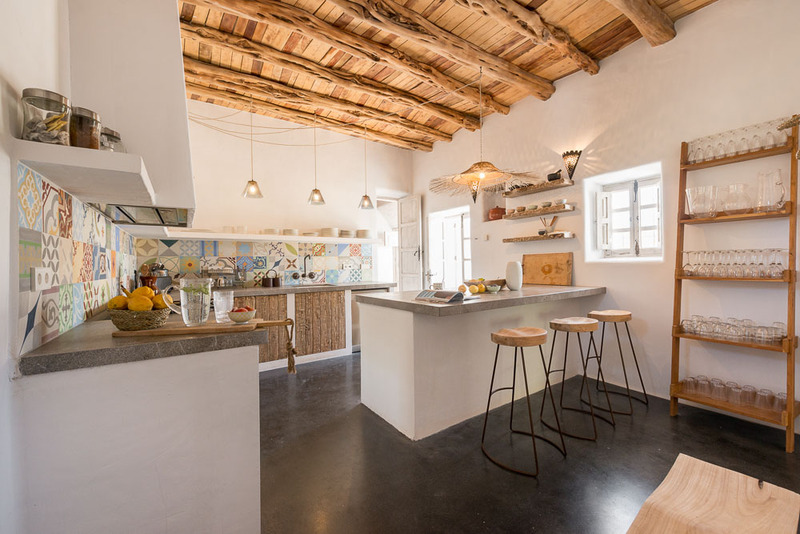 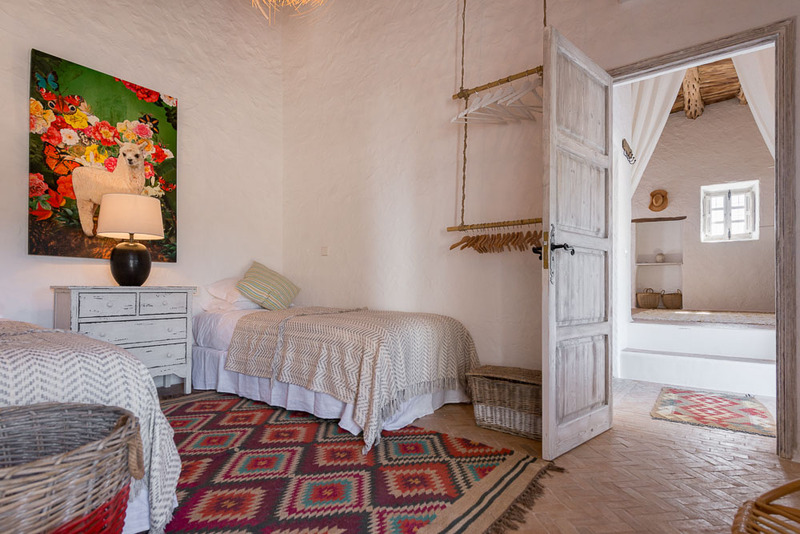 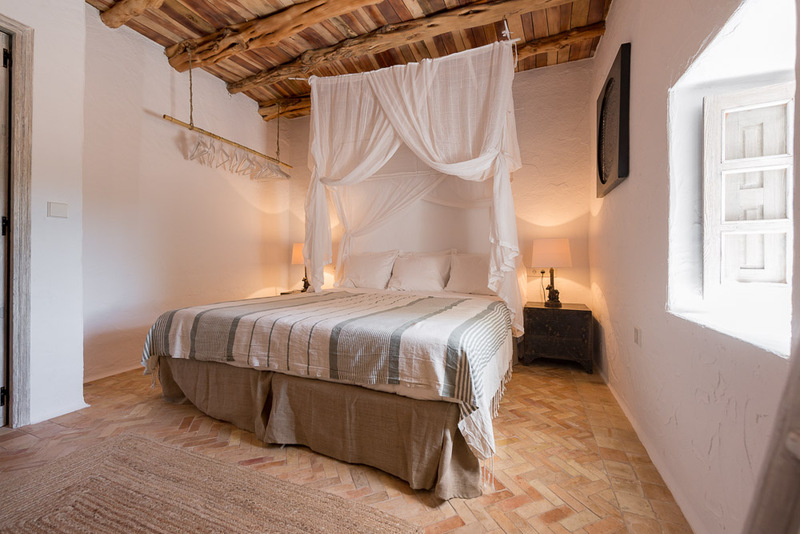 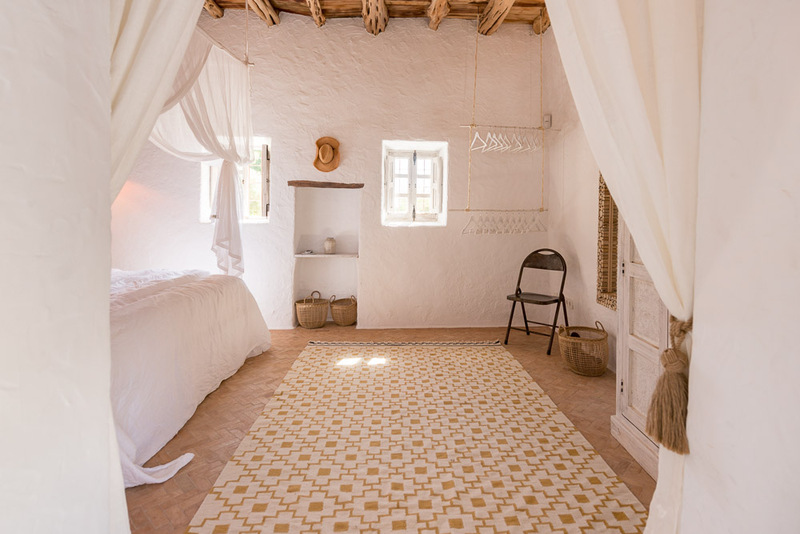 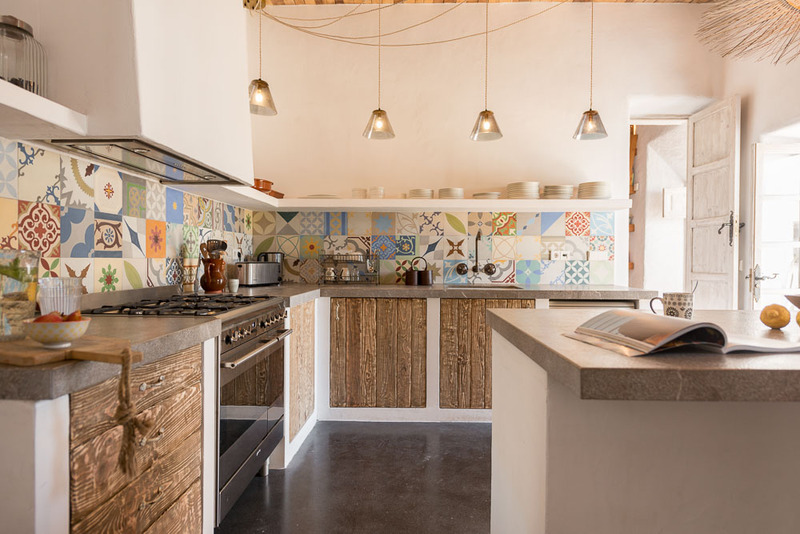 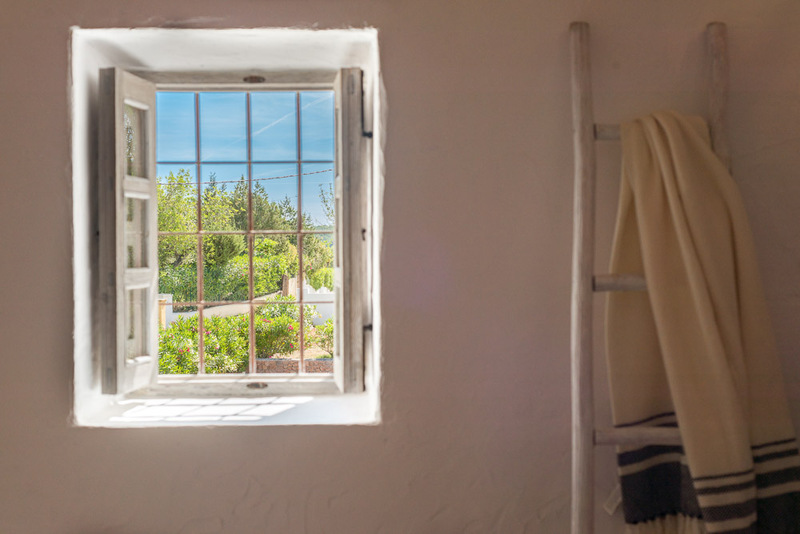 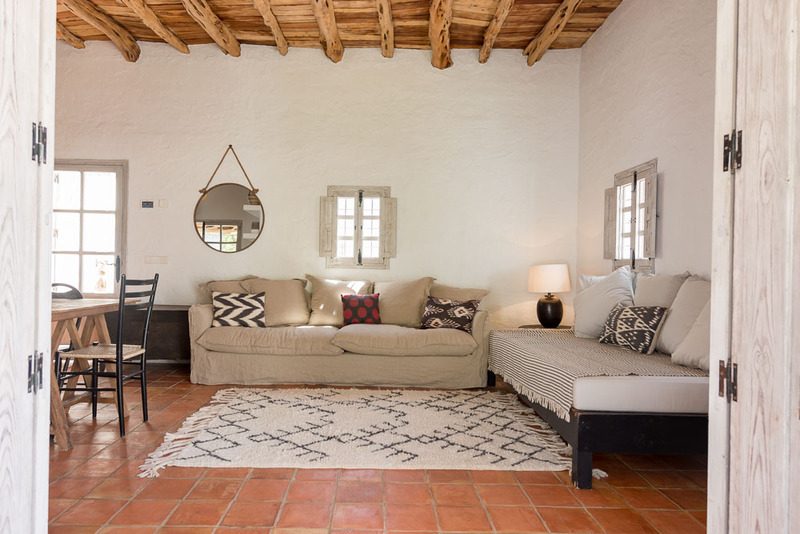 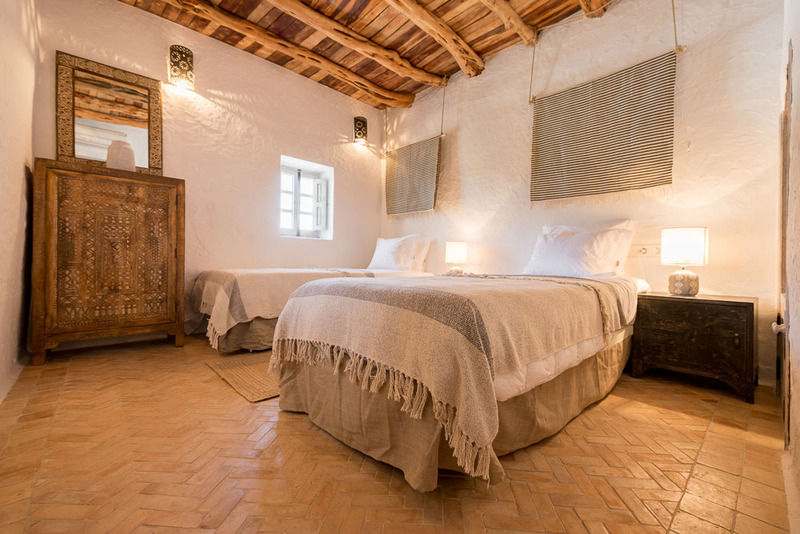 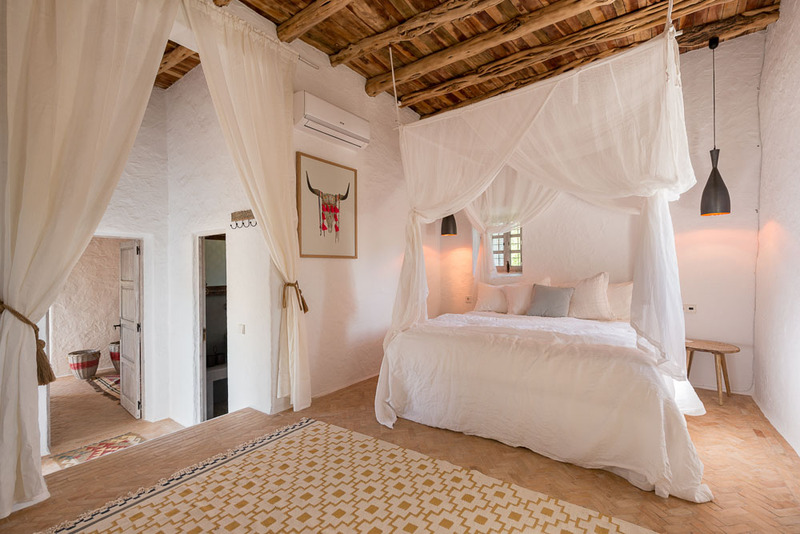 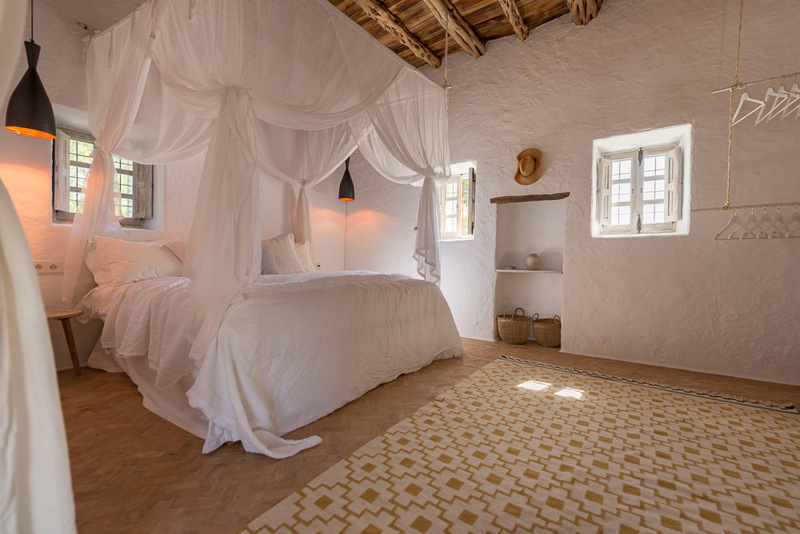 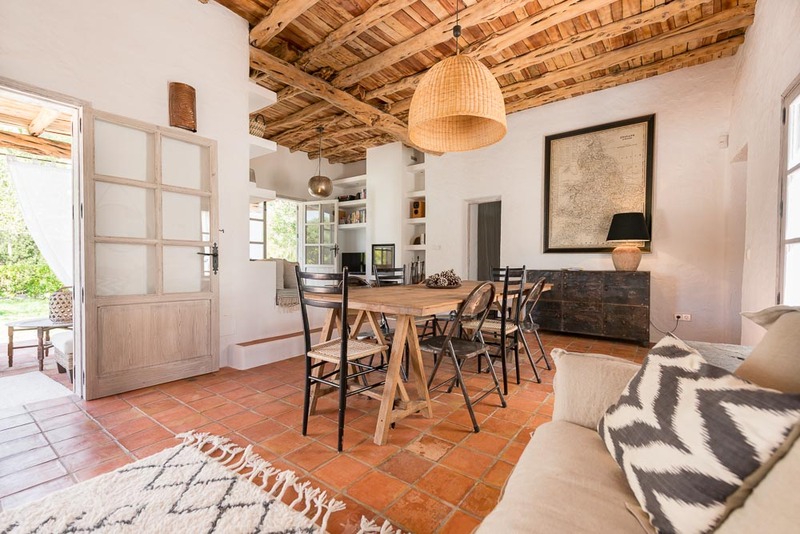 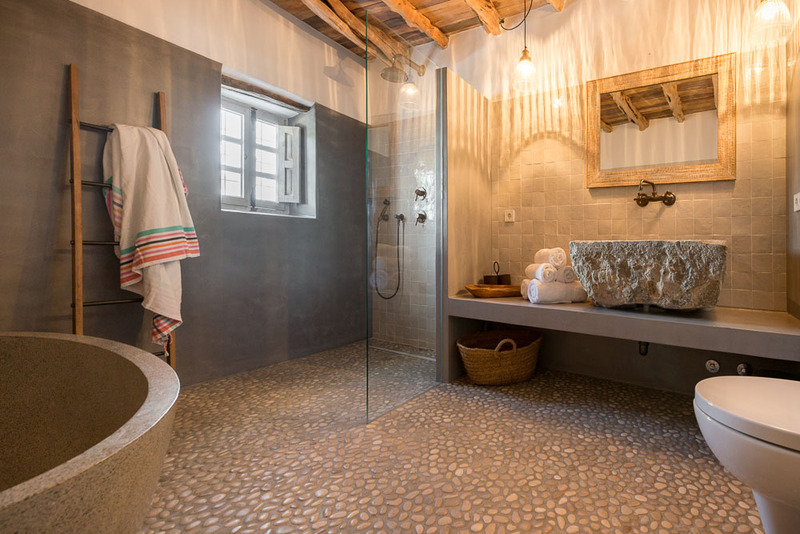 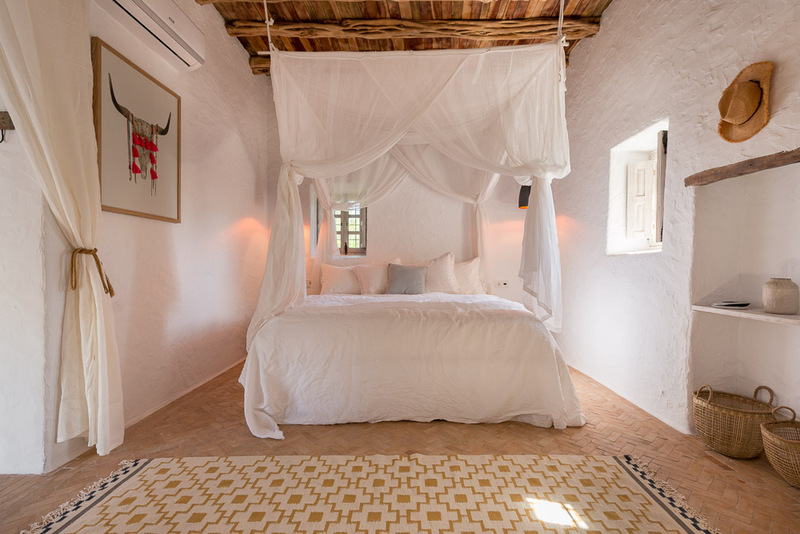 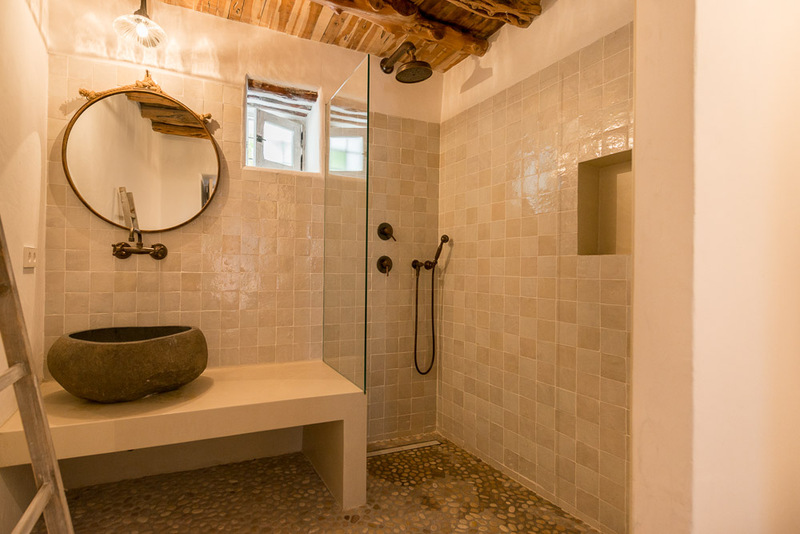 The Finca Can Tomas is a beautifully renovated finca, once an olive oil press. 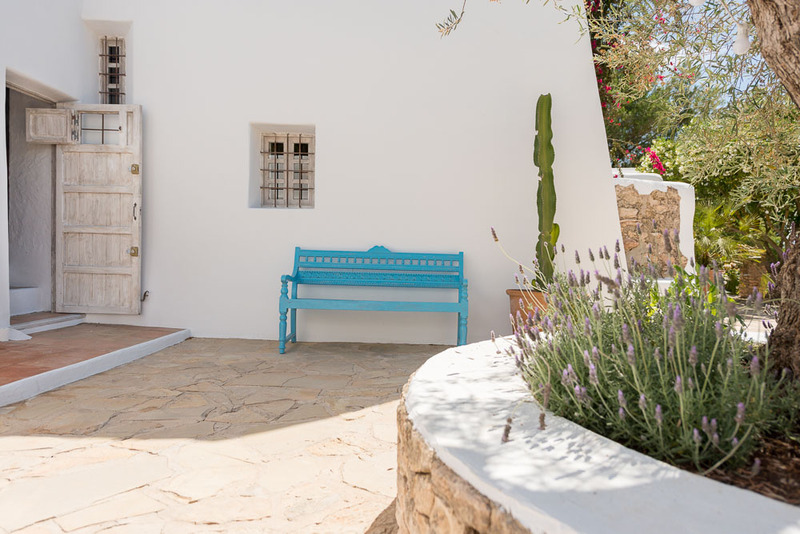 The heavy mill stone can be still be seen on the terrace today.It is nestled on the hillside of the rural hamlet of Can Tomas sitting amidst a scented pine forest with its own bountiful orchard supplying seville oranges,sweet navel oranges, clementines, lemons, pomegranates and figs. 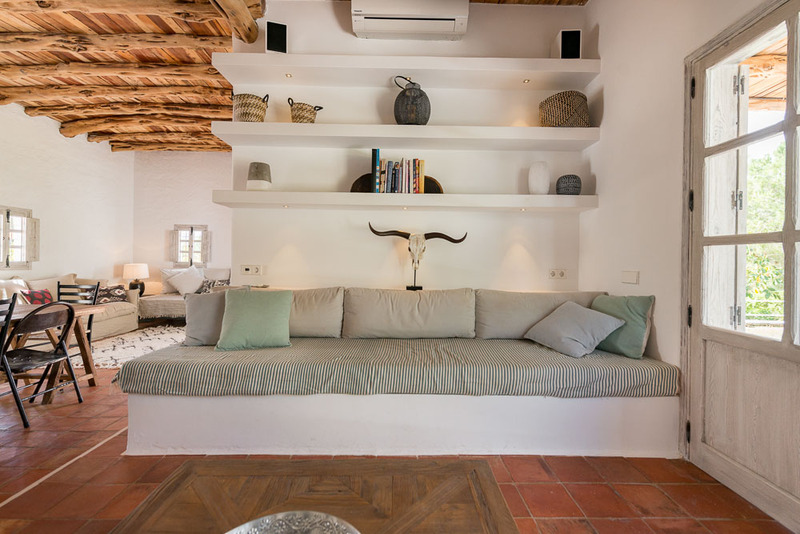 Perched in the hills between San Rafel and San Antonio, Can Tomas is the perfect base from which to explore the Island ofIbiza. 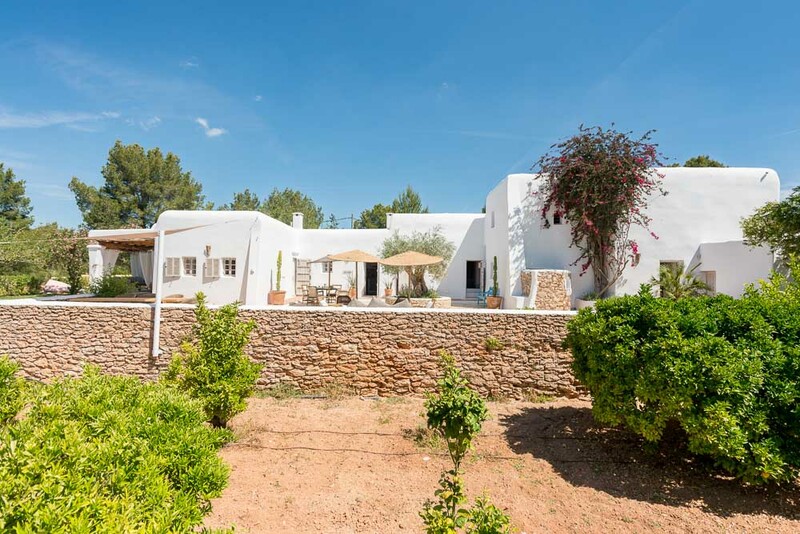 The beaches to the West play host to the island’s famous sun sets.The traditional quiet Ibicencan villages of San Rafel, Santa Gertrudis and Santa Agnes are located within five to fifteen minutes drive away. 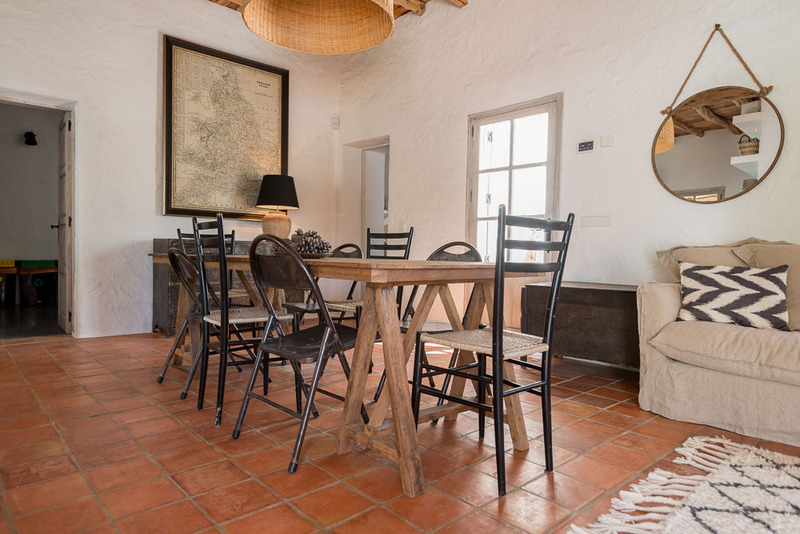 The square in Santa Gertrudis is lovely for tapas and evening meals. 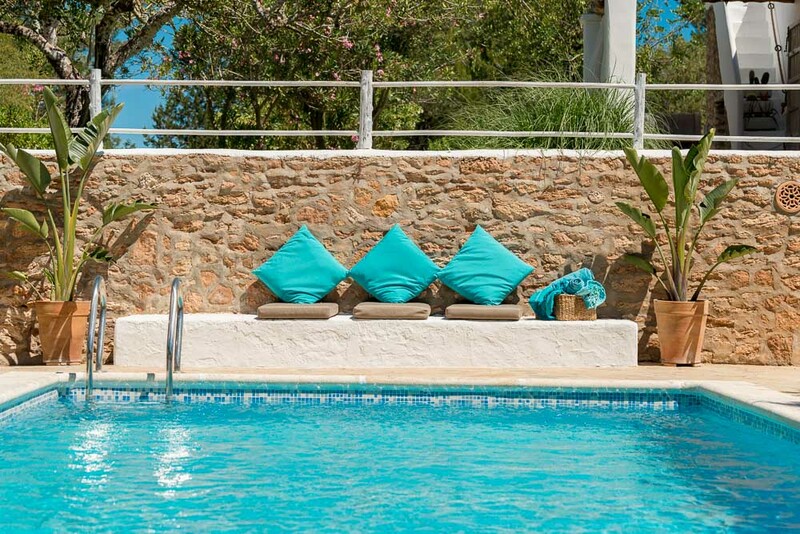 The nearest beach is Cala Gracio. 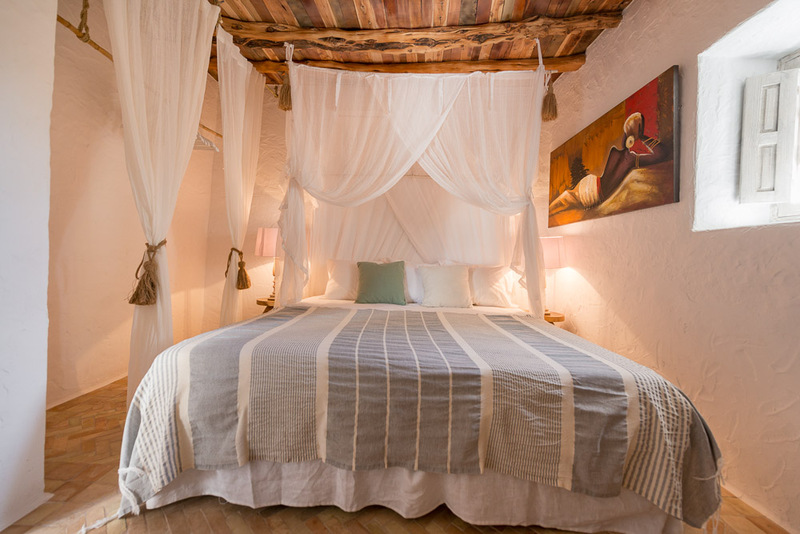 It is family friendly with plenty of shade, gentle waters and fine golden sand. 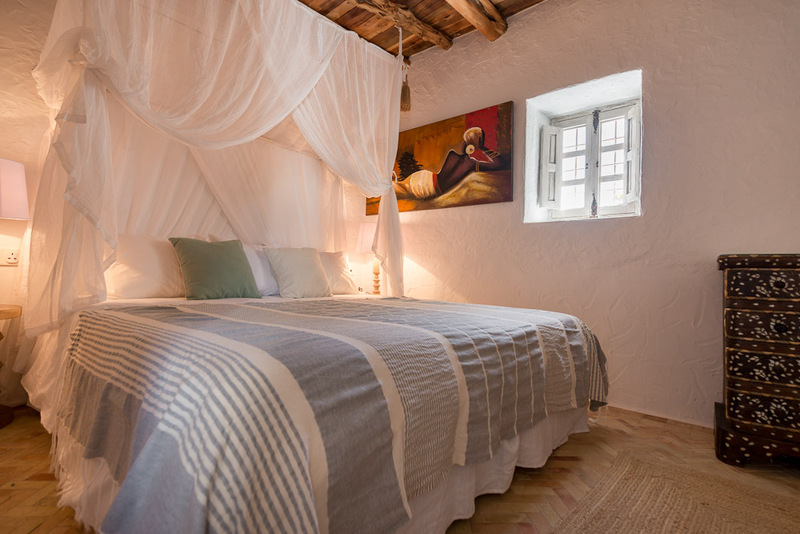 Cala Salada, a more pebbly beach and Punta Galera a stunning collection of flat rocks with breathtaking views are made for basking and diving off. 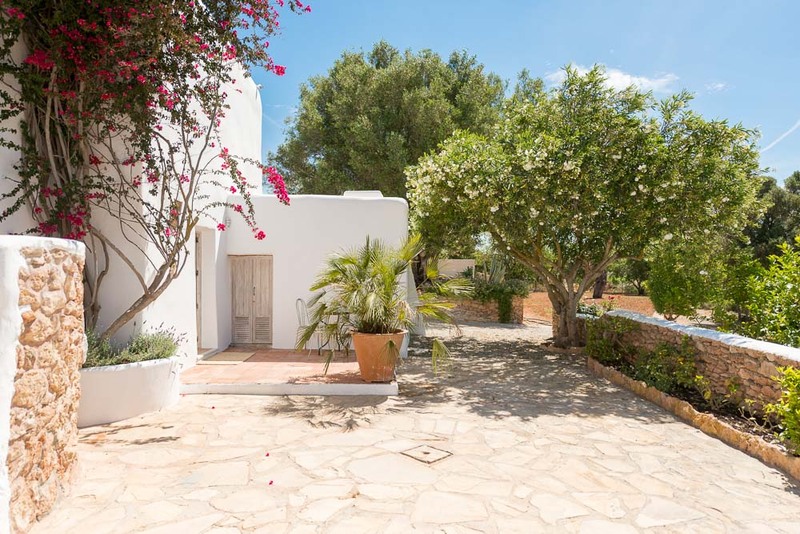 With it’s central location the main San Antonio to Eivissa road just a few minutes drive you are only ever fifteen minutes away from the historic old capital of Eivissa,twenty minutes to the North, San Josep and to and from the airport. 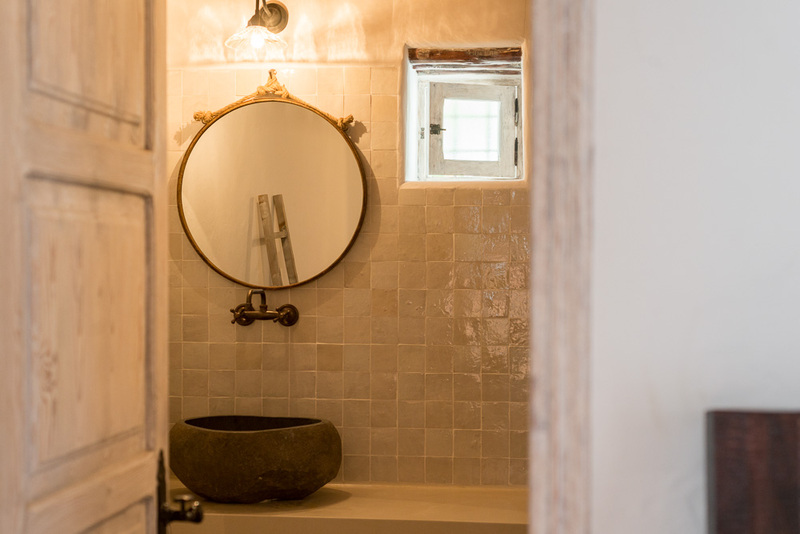 The house has been lovingly restored as a private family home,and has a very special atmosphere. 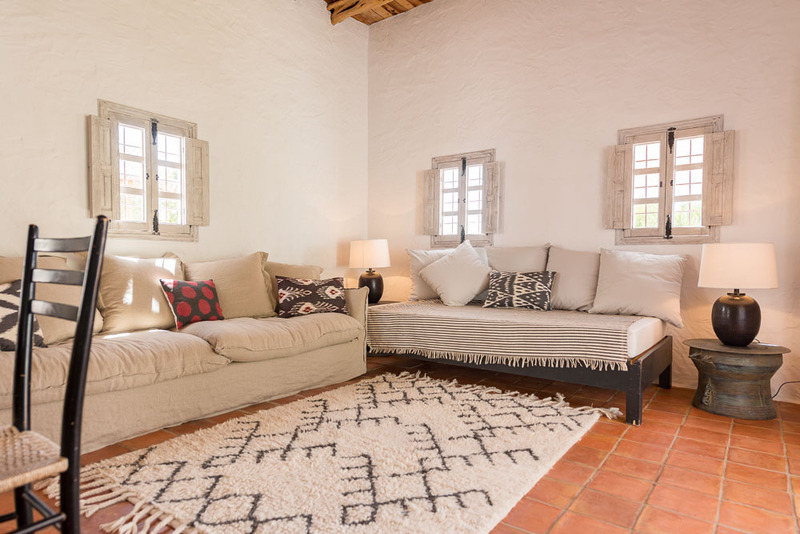 Modern comforts have been combined with a cosy eclectic style,blending pieces from Bali, London and Morocco. 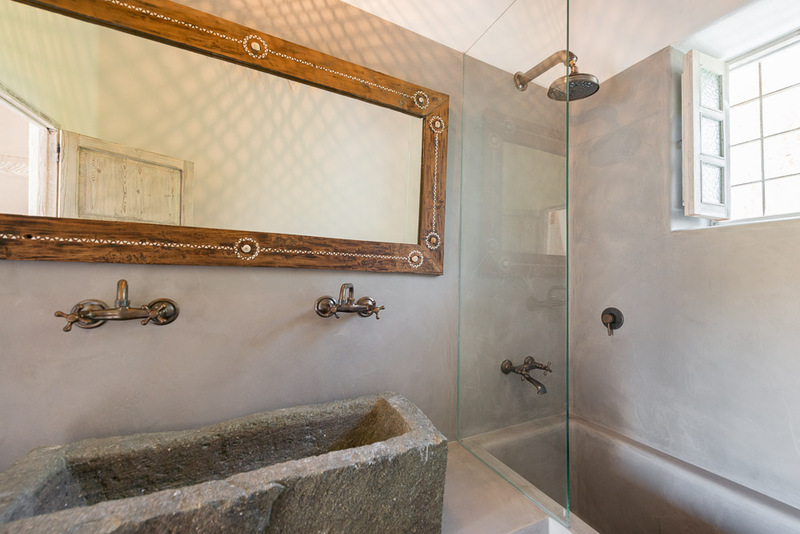 The private swimming pool, which can be heated on request out of season, is flanked by double Balinese daybeds. 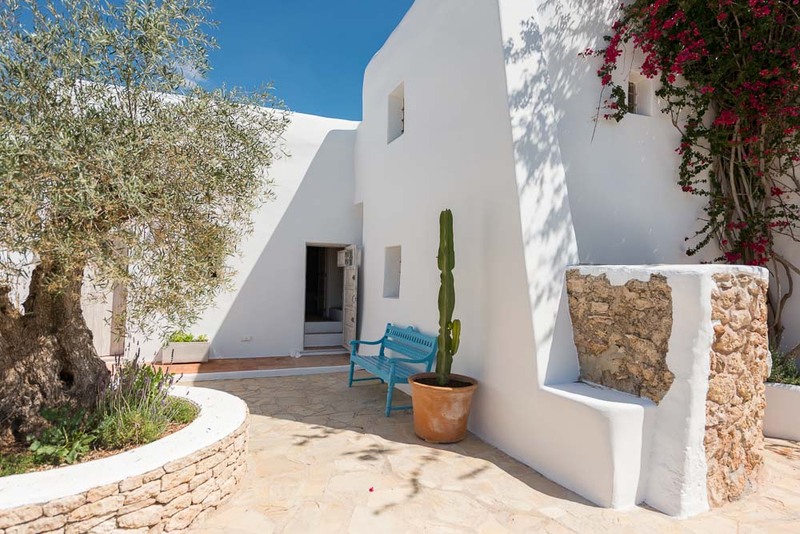 Beautifully mature gardens are abundant with bougainvillea and oleander flowers, giant aloe vera and many pine and olive trees. 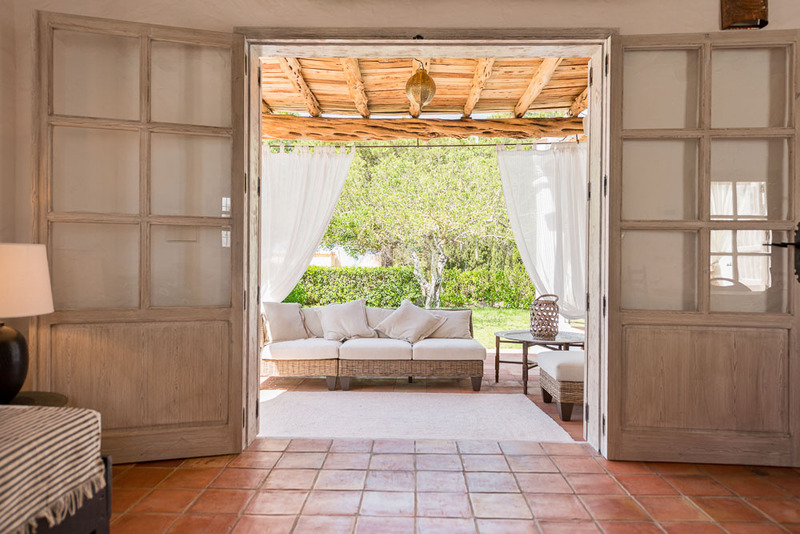 The planted orchard will keep you well supplied with morning orange and grapefruit juice and lemons for your sundowners. 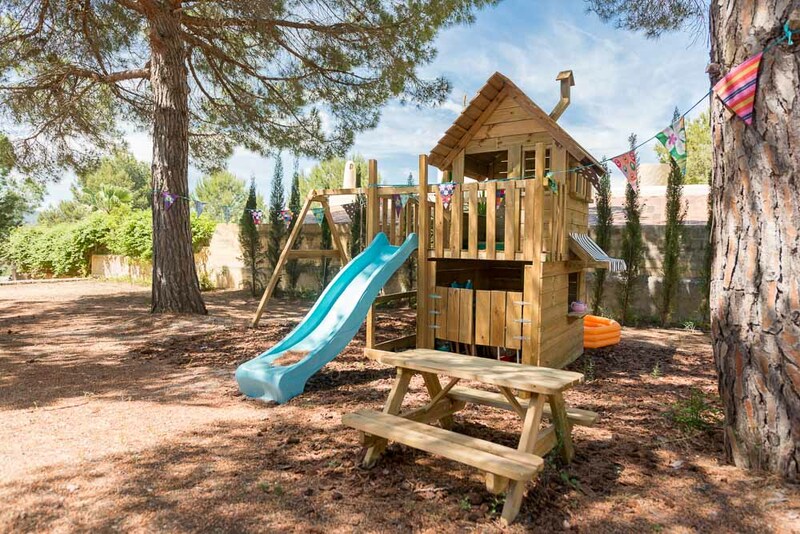 Behind the pool is a kids playground and sandpit shaded by two large pine trees.This is the perfect place for families or groups. 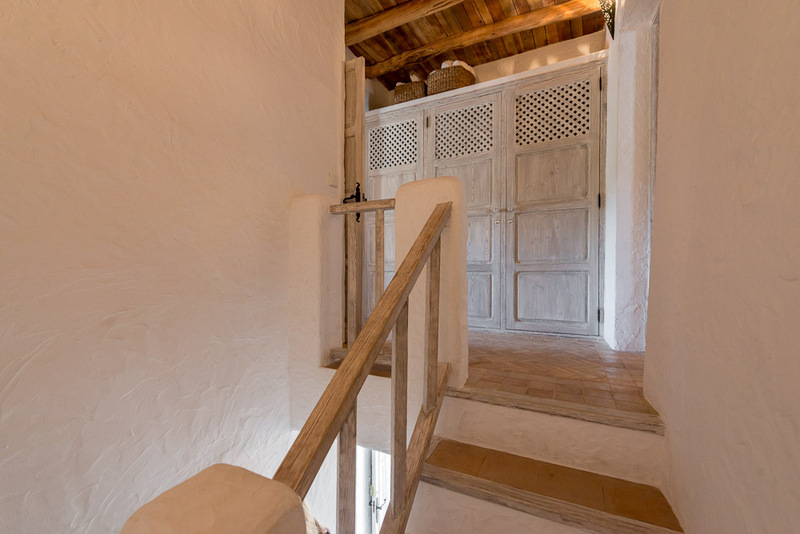 Can Truj has five double bedrooms, two in the main house and three in the old press, sleeping a total of ten adults. 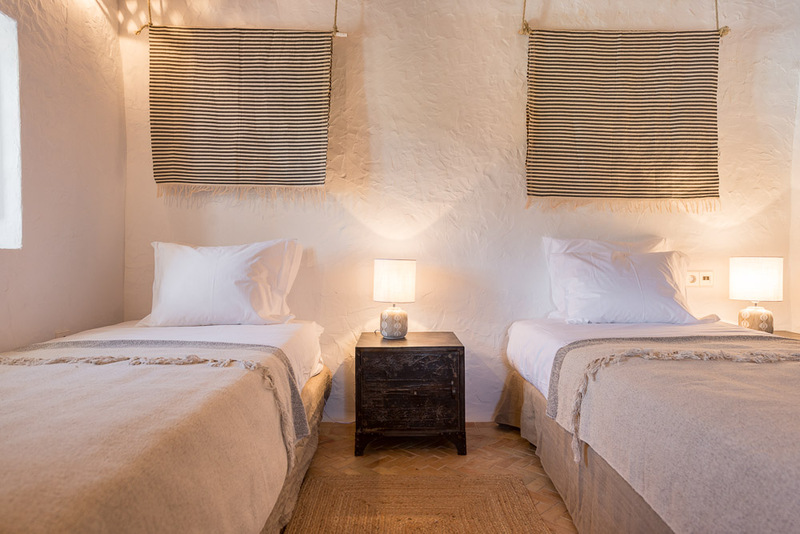 All rooms can be made up as twin bedrooms or super king beds. 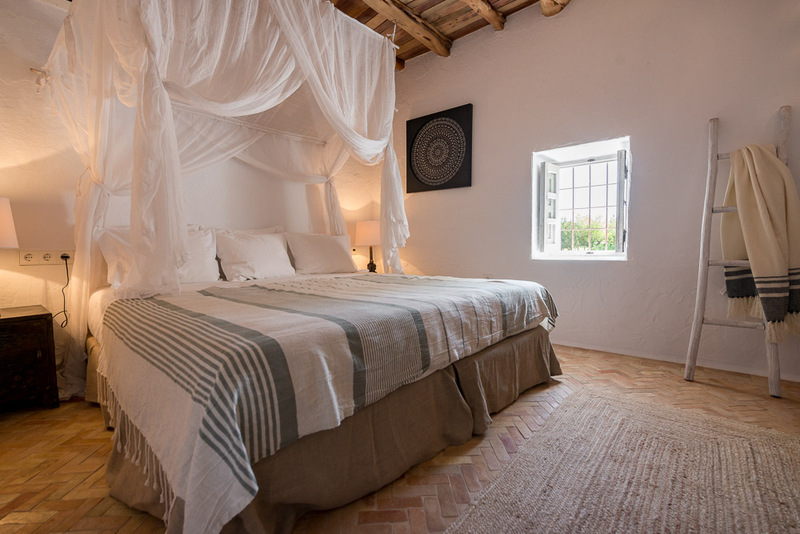 The bedrooms all have air conditioning, Ren toiletries, high quality linens and mattresses, there is a luxurious four poster mosquito net in the master bedroom. 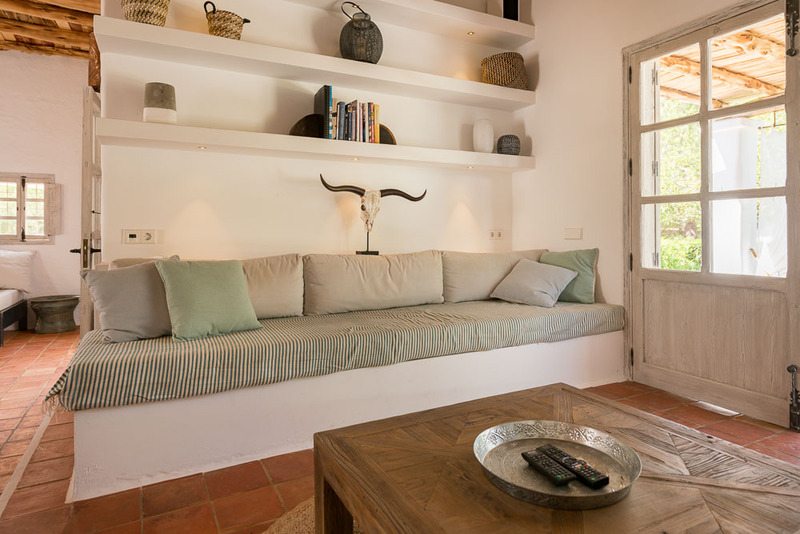 The house has a Sonos music system you can connect up to your iPhone, reliable wifi, Sony TV, Playstation 3 and Apple TV. 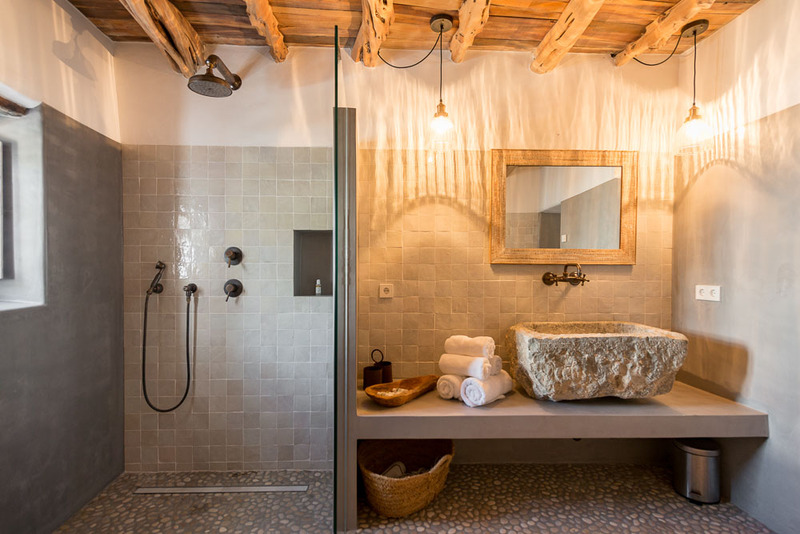 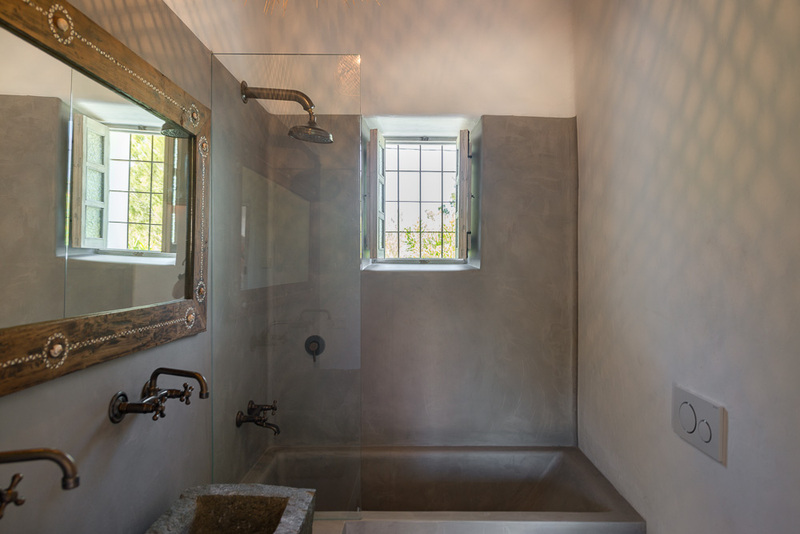 For winter stays there’s a log burner and underfloor heating keeping the hand baked terracotta tiles in every bedroom and bathroom warm. 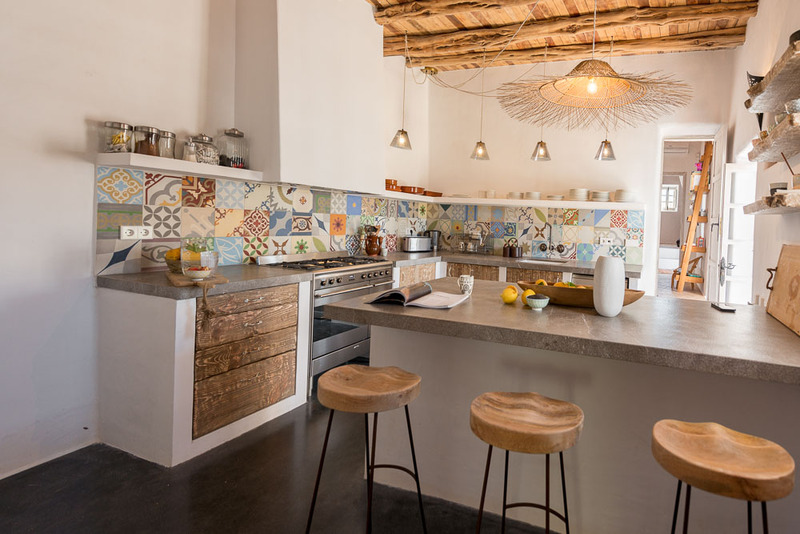 The kitchen is well equipped with a Smeg gas range, an espresso pod coffee maker, Electric juicer, microwave, dishwasher and separate drinks fridge.